You know when you go into Target for batteries and come out with a Playstation 4, new 4K television, and an ultrasonic toothbrush? This is me coming out of Juliette Kitchen & Bar’s inaugural spirit tasting on an average Tuesday night. What started out as a simple Scotch-tasting turned into me coming out with an Encyclopedia Britannica set of Scotch, cheese, charcuterie, and a brain full of peaty knowledge. 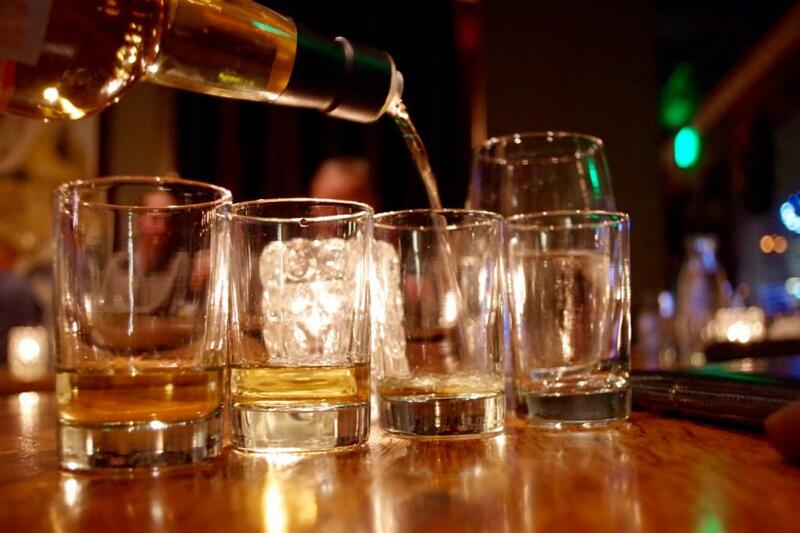 At their Compass Box Scotch tasting, $30 included generous pours of four spirits, a paddle of bites to pair, and a U-shaped table full of lively conversation. Scott Ellis, the brand ambassador of Compass Box, quickly hushed the group to tell the company’s unique story. Much like a DJ doesn’t make the music they’re playing, Compass Box doesn’t distill the liquid they bottle. Compass Box remixes Islay beats over Scotland hip hop bagpipes, and it’s groovy! The first pour, Asyla, I found to be like a Carlie Rae Jepson and Nine Inch Nails mashup, where the bubblegum pop plays an easy-drinking Highland note to the smoky peat of Trent Reznor. Blended to perfection, the dram had notes of American oak, layered with vanilla, white flower, and cinnamon. Perfect Sunday sipper right here. Hedonism, the second pour, is a fine example of what a blended grain whiskey can be (although this is my first go at it). Somewhat addicted to single malts over the years, I found this beast is a bit of an eye-opener. 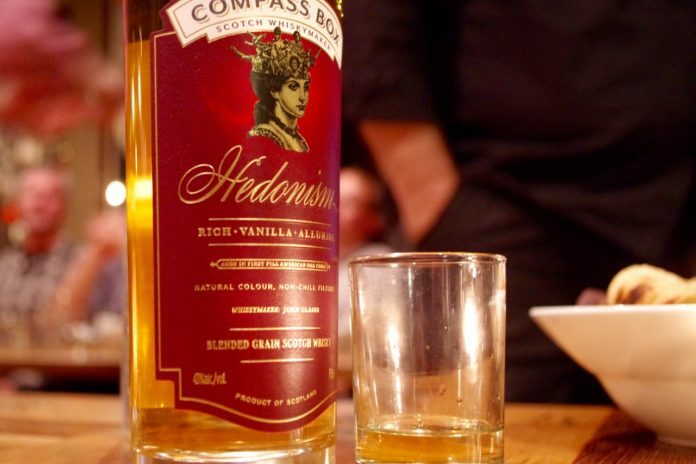 Notes of fudgsicle, vanilla, and coconut over a creamy-coating mouthfeel, Hedonism is on my buy-list this holiday season. “All Scotch Whisky should be called hedonism, right?” says Scott. Oak Cross, the brand ambassador’s favorite, was perhaps my least. Marinated on American oak stave barrels with new French oak barrel heads, the balance was a bit too woody for my taste, kind of like sucking on a wet log. After thinning with a dash of water, I noted some pleasant citrus and grainy malt, but Oak Cross is a lesson in wood, too much so for my taste. Lastly, Peat Monster, the veritable phenolic beast, is blended with three Islay single malts and one Highland. It has everything you want in a Scottish seaside peat log bonfire, if such a thing exists. That wonderful 70’s band-aid aroma, tinged with salty bacon, “It smells like burnt furniture!” says the blonde lady next to me. It’s earthy, layered, and a smoke bomb. So good, especially paired with Rogue’s blue cheese! Capping things off, chef brought out steak tartare toasts, possibly the best dessert send-off ever for a Scotch-tasting. 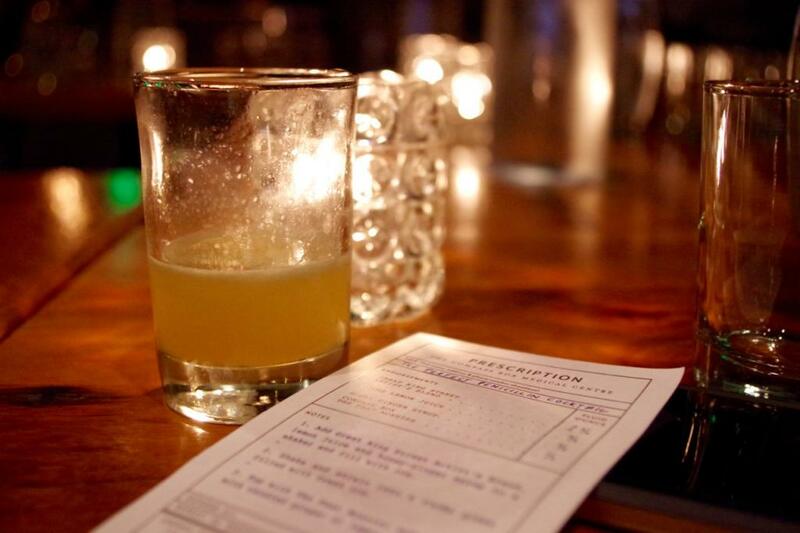 Be on the lookout for more cocktail-, spirit-, or wine-tastings at this hidden gem!